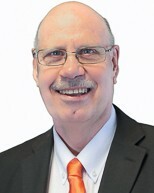 Having commenced his real estate career in 1976 and with over 40 years' real estate experience Geoff has justifiably established himself with an enviable track record in property sales and successful marketing strategies in a variety of ever changing market conditions. His ability to ascertain a client's needs and wants by actually listening to them creates an environment of satisfied clients by always putting their requirements first, coupled with a strong work ethic and a genuine commitment to achieving results above expectations all the time providing you with a professional yet very personal approach to real estate, this is the cornerstone of his success. A testament to his desire to provide the absolute best service is the referral and repeat business that Geoff receives, this recognition makes him the correct choice of agent to represent you with your most valuable asset and to become a client for life. Bring your Tools & Reap Your Rewards!! !